The K2-litter is now weeks, and there are new pics. Their father Ingvar is now a neuter. HeÂ´s my youngest sonÂ´s own cat, and was never meant to stay as a breeding male. The K2-litter have their 18-day-pictures published. and the litter is now on kitten page! Sweet tortie Jenassa is still available! New pics of the J2-gang, 7 weeks. and there are new photos of the J2-litter! Kitten page is updated with our J2-litter, newborn and 12-day-pictures! 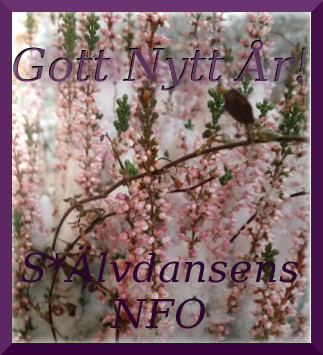 CH S*Älvdansens Ingvar now has his own page. The I2-litter is finally moved to litter page. Kitten page will soon be updated! All the I2-litter kittens are sold or booked. Our sweetheartIngvar will stay here as my sonÂ´s own cat. All show results for 2017 are updated. Four of the I2-litter kittens have moved to wonderful homes. 4-months pictures of Ingvar & Ignar are now on kittenpage. 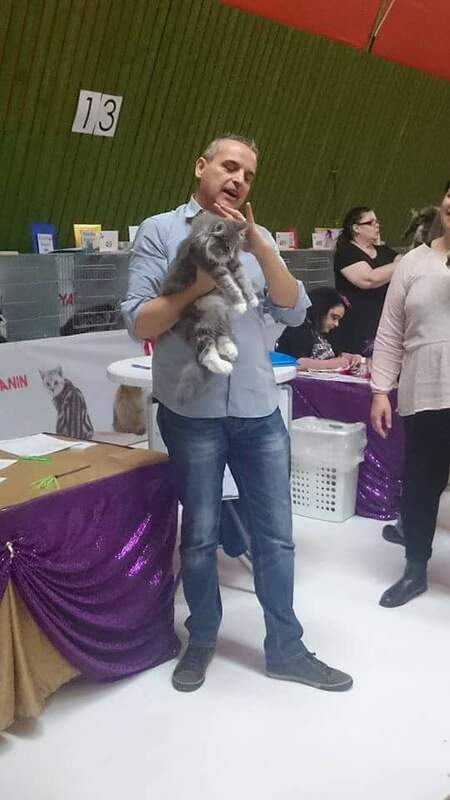 Last weekend Roma and I were on show at Billingebygdens Kattklubb, and she did very well. CAC and NOM both days! New pictures of the I2-litter. 12-week-photos of the kittens. New pictures of the I2-litter. Very much delayed 8,5-week-pics, due to work and catshow last weekend, and fresh 10-week-photos! Seven-week-pics of the I2-litter. They are all doing fine and are so lovely -super temper from both parents! Ivar and Ingrid are booked, and one of the blue boys. Mostly due to technical problems the hp has not been updated until now, but finally CressidaÂ´s and THeoÂ´s babies are on the kitten page, and lovely Roma is among the females. Her own page will be online soon. The H2-litter has itÂ´s own page. There are 15-week-pics of the boys on kitten page. Homeros is booked. Hera has now moved to her new home, and has settled in very well. 12,5-week-pictures of the H2-litter. Hera is booked to a wonderful home. The H2-litter is now eleven weeks! Gabriela now has her own page. I keep her as a hostcat, and she shares home with her brother Guido and MazettiÂ´s brother Fazer -what a gang! Their servant is my friend and colleague Maria -thanks a lot for this opportunity! H2-litter is now eight weeks old -new pics on kitten page! The G2-litter has moved to litter page. Today is the national CatÂ´s Day in Sweden and me and the boys have spent the day at ElfsborgskattenÂ´s Club Championship in Hillared. Top Hat was beaten by stunning S*Pax Galileo JW who was also BIS -congrats Eleonor ♥, and Mazetti was nominated but lost to MatildaÂ´s cool guy Goliat DSM. We had a very nice day with lots of people visiting the event! Due to our show in VÃ¥rgÃ¥rda last weekend there were no 6-week-pics of the kittens, but now there are new photos of them, seven weeks old. They are developing very nicely ♥ Daddy Top Hat became International Champion at the show -results on showpage! Gunnar and Gloria have moved to their wonderful homes, and they are both doing fine!So only pictures of Guido and Gabriela this week, and of course the H2-litter, five weeeks now and abolutely adorable! New pictures of G2- and H2-litters, 12 and 4 weeks now! New pictures of G2- and H2-litters! All the G2-kittens are now booked to wonderful homes. The little Fenja&Top Hat babies are doing fine and love to cuddle ♥ New pictures of all the kittens. Little Hekate didnÂ´t make it and she left us only three days old. -fat as little piglets ;-) Now there are new pictures of both litters! There are now new pictures of all the kittens: G2-litter 8 weeks and H2-litter newborn. G2-litter seven weeks! The pictures are a little late due to my trip to Denmark -results on the show page. Only days left now of FenjaÂ´s pregnancy! Showpage updated with results from Kalmar. Kitten page updated with expected litter. There are also plans for the youngsters! Top Hat and Fenja are now scanned hcm-normal by Torkel Falk, and hopefully they will have kittens later this year! Showpage is updated with results from the shows IÂ´ve been to since the comeback last year. Last Saturday it was time for Top HatÂ´s second show, again in Gothenburg at GRK:s special ringshow. American CFA judge Vicky Nye was very happy about him! The blog is also updated with pictures of some the F2-kittens! The first update of the year is new pictures of Fenja and Top Hat! Both my old housecat ladies are now gone, but a bit unexpectedly there is once again a housecat in the gang! beautiful Ragdolls before the categories change! Fenja came second with a nice judgement. She is a bit like an anorectic teenage girl at the moment, but letÂ´s hope sheÂ´ll regain her interest in food! Fenja and Top Hat have their own pages. Last Friday my old housecat Fiona passed away, 13 years old. Welcome our new boy S*Restless Inverted Top Hat! The F2-litter has moved to litterpage. Fenja stays in the cattery and all the others have moved to new homes where they are loved family members!